What can over $12 billion and a genius intellect when it comes to mechanical engineering get you? Keep in mind, that this is an amount of money that Charlie Sheen could probably have blown through in a decent weekend. Twelve billion dollars: that’s a lifetime supply of Big Macs, Miller Genuine Draft, and just about anything else you want. One can get creative. Well, if you were Tony Stark it would allow you to amass an incredibly impressive collection of armor suits. 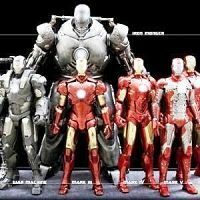 Iron Man’s hall of armor includes thousands of these amazing suits. Some are upgrades of previous models, while others are designed specifically for a single task. The villains and heroes, as is the case in the upcoming Captain America: Civil War, don’t stand a chance against ol’ shell head if his armor is in perfect working condition. Tony Stark is always inventing new armors to face off against the threats of the world and beyond. So, who knows what awesome armors Iron Man will don in the future? Here’s a look at the ten best Iron Man armors. Which one is your favorite? This armor made its debut in Avengers: Age of Ultron, and it is unique because of its ability to connect to the Hulkbuster armor. It is also the last armor to be equipped with the Jarvis operating system. After Jarvis was transformed into the Vision in Avengers: Age of Ultron, Stark implemented a new operating system called Friday for the Mark 45, and likely all future armors. 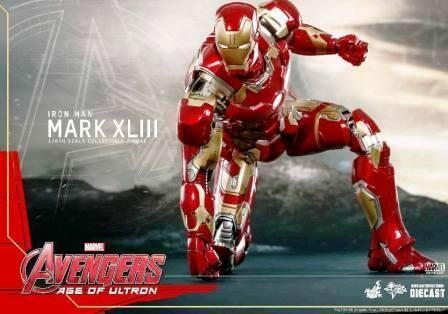 Like the Extremis armor before it, the Mark 43 allows Stark to control the armor plating and pieces of the Iron Man suit with his mind. This suit marks the near pinnacle of Tony Stark’s brilliance when it comes to designing Iron Man armor.